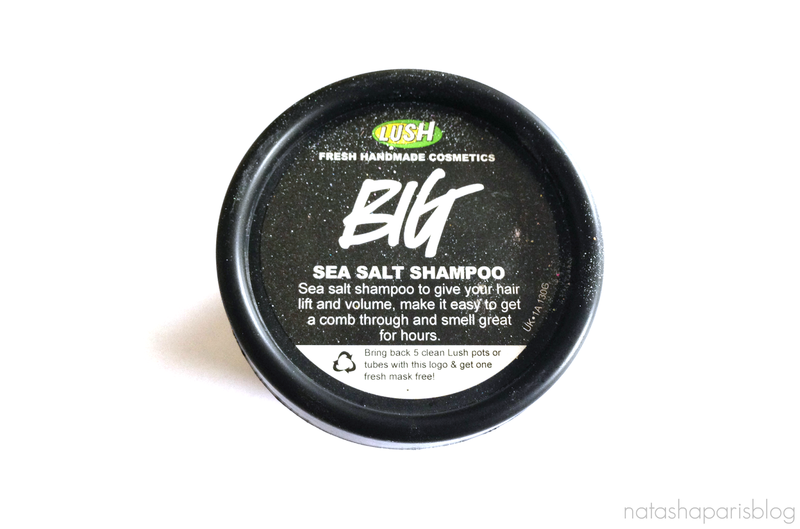 LUSH Big Shampoo has been a product that I've wanted to try for a very long time but to be honest the price has always put me off. Could I really justify paying so much for a shampoo? Well back in October I decided to have a little splurge and I treated myself to it. 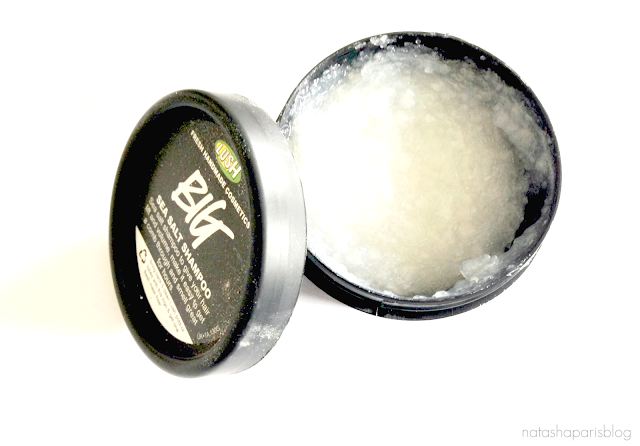 This product is a sea salt based shampoo which is designed to help give hair volume and lift. Aside from sea salt the shampoo also contains ingredients such as seaweed and extra virgin coconut oil to help to soften the hair and lemon and lime to add shine. I purchased the smallest size in the shampoo, a 100g pot which cost me £6.75. The product is also available in both 330g (£12.75) and 600g (£21.50) tubs also. All of which can be purchased in store or online. I usually use this product around once per week, using an alternative shampoo on my other hair washing days. One of my favourite things about this shampoo is that it leaves my hair feeling squeaky clean. I've found that I don't need to use a large amount of product in order for my hair to get a good cleanse, and due to it being packaged in a tub it's easy enough for me to put some of the product back if I do take out too much. When applied to the hair the shampoo lathers well and leaves my hair smelling amazing, even after it's dried. Since purchasing this product I've used it around once per week. I have found that when I use this shampoo my hair does have slightly more volume than when I use an alternative shampoo, although we're not talking huge amounts. After using this shampoo my hair can often look quite frizzy and despite containing coconut oil to help soften the hair I find that this shampoo can leave my hair feeling quite dry so I definitely have to use a good conditioner alongside. Although it was nice to try this product after it being on my wishlist for such a long time I can't help but feel a little underwhelmed. I think for the price I expected this product to give my hair a lot more volume and a lot less frizz. If you're hair isn't prone to frizziness and you're looking to add more volume then this may be a product for you, however unfortunately for me I don't feel it's suited to my hair type so I won't be repurchasing.